China’s willingness to escalate its military presence in Africa took a new turn with recent negotiations between the governments of Djibouti and China to establish a navy base. In the words of Djibouti’s president Guelleh: “the Japanese want to protect themselves from piracy – and now the Chinese also want to protect their interests, and they are welcome.” The negotiations have been ongoing since 2013 while in the meantime Chinese anti-piracy navy fleets often dock at the Djibouti port for fuel replenishment. What remains to be unveiled about these negotiations is the form of China’s military presence in Djibouti. It could range from securing access to the port for replenishment to constructing a permanent military base. In the case of the former, the implication is that China will be increasing its navy patrols in the region and in the Indian Ocean with more flexibility and fuel autonomy. In the event that China will be building a military base in Djibouti, it will be the first of its kind and would signify a radical change in Chinese foreign policy conduct. Of course the symbolism of China’s first ever military base on foreign soil being negotiated with an African country is in itself an interesting development. What it means to have Chinese and American Bases Side-by-side in Djibouti? For one thing, this could be viewed from a realpolitik lens a la Mearsheimer; any rising power will aim at projecting its power. And nothing screams “biggest and baddest dude in the block” louder than a military base and a show of navy muscle. From this perspective, China will eventually pose a threat to US interests in Africa and will lead to containment through alliance with Germany, France and Japan. Viewed from a more pragmatic perspective, China has increasing numbers of investments and nationals abroad to protect, and setting up a navy base in Djibouti to promote safe trade routes does not contradict China’s principals of foreign policy conduct. Given that the Djiboutian government seems welcoming of China’s presence and in light of the preceding big efforts China made in fighting piracy in the Gulf of Aden, having a base can be viewed as a practical way of ensuring an enduring economic stability. To be sure, besides France and the US, Japan also has a base in Djibouti for the security of its economic interests, yet the Japanese base is not viewed to reflect hegemonic intentions in the continent. Yet a third interpretation is possible. By working side by side, both Chinese and American officials will be inclined to collaborate, exchange intelligence and learn to work together. From this perspective, this is a great scenario for China-US navy officials to build bonds of trust and learn to collaborate peacefully. Opportunities for socialization are also a source of optimism that future US-China relations will learn to avoid confrontation. Djibouti is host to France’s largest military base in Africa. The small country in the Horn of Africa was a French colony from 1872 and remained under French control until 1977. Since 2003, the Djiboutian government entered into an agreement to lease Lemonnier Camp to the US. Since then, it hosts the USAFRICOM-affiliate Combined Joint Task Force which comprises some 15000 American personnel. Although France has been sizing down its military base in Djibouti, it remains very strategic for security operations both on the African continent and in the Gulf region. However despite historical ties with France and the US, Djibouti is willing to diversify its security partners by drawing closer to China. Djibouti and China enjoy prosperous economic cooperation. 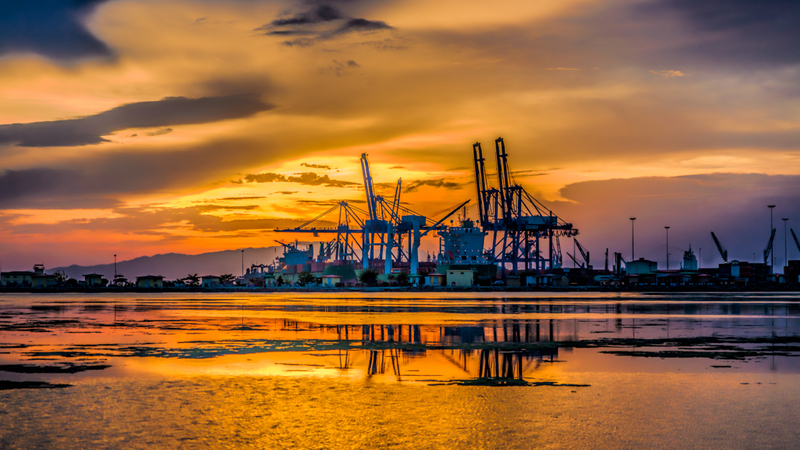 China invests in port construction and road infrastructure which facilitates the flow of goods not only from and to Djibouti but also landlocked neighbor Ethiopia. One could see that no matter how small the Chinese navy base might be, it can -very rapidly- gain a strategic importance in the security of the region. One of the characteristics of Chinese foreign policy is the anti-imperialism discourse that it puts at the front of its relations with most Global South countries. China prides itself over being an equal partner and a long-time denouncer of Western hegemony. However with talks of establishing a navy base in Djibouti, the first of its kind for the PRC, the discourse is likely going to be framed around the importance and obligation of ensuring security for the economic betterment of the Horn region. To be sure, China is already a well-established contributor to security endeavors in Africa. It is the largest provider of peacekeeping troops among the United Nations Security Council permanent members, it is also a key mediator in South Sudan, and a key supplier of military equipment to several African governments. Besides, it is expected to see more naval base negotiations with other African states in the near future based on China’s maritime Silk Road vision. Already, there are talks around China negotiating a naval base in Namibia’s Walvis Bay even though this has been refuted by both Chinese and Namibian officials, unlike the case of Djibouti that has been openly –even if vaguely- discussed by both sides. In the end, maximizing the security of strategic shipping routes would carry positive impacts on the whole East African region. China, France, and the US could all play significant roles in fighting piracy and promoting stability. However, the question remains when are African states going to establish African joint military bases to secure trade routes or fight off piracy instead of merely diversifying the source of foreign influence on their territories?